Welcome back to the Holistic Spaces podcast! Last week, when we learned how to create a peaceful, zen bedroom, we briefly discussed indoor air quality. This week we'll get more in depth into the importance of indoor air quality and how to make improvements to ensure our holistic spaces are healthy. As you can see, ensuring that our indoor air is as clean as possible is a huge step in working towards creating our own holistic spaces. We spend up to 90% of our time indoors, so this is a great place to start changing the energy in your life! I want to say "thank you" to each of you for tuning in to our Holistic Spaces podcast. It means the world! 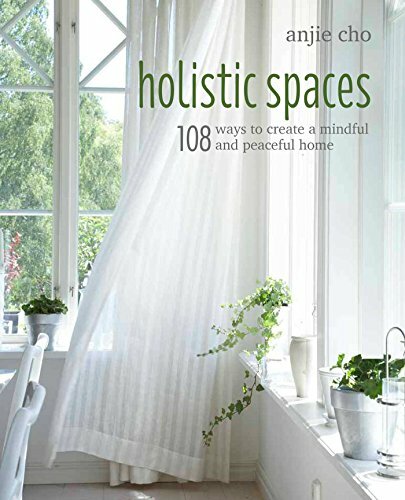 For even more insight into green design and holistic living, sign up for the Holistic Spaces newsletter, and receive a 10% off coupon to the Holistic Spaces store! If you have specific questions regarding feng shui, green design or holistic living, please feel free to ask! You could even be featured in our Q&A Sunday series!